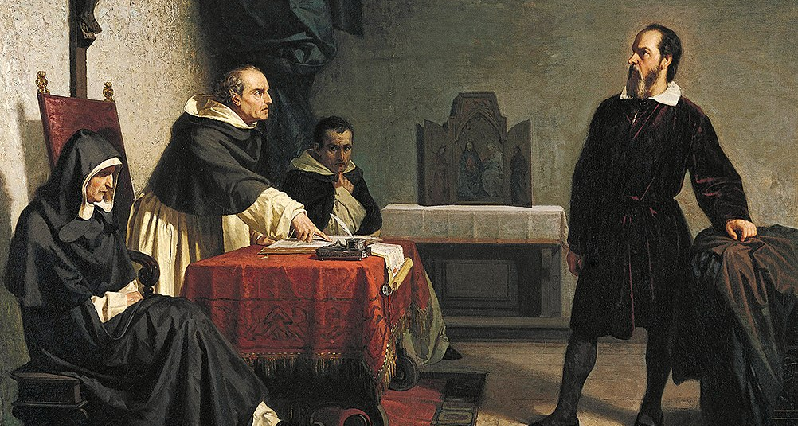 Cristiano Banti’s 1857 painting “Galileo facing the Roman Inquisition.” Most scientific disagreement isn’t so one-sided. How much of a given nutrient should we get? It’s a simple question. Often, it receives a simple answer. Simple answers are easy and comforting, but they are rarely accurate or complete. They don’t account for individual differences in fitness, reproductive status, metabolic function, medical history, genetic predisposition, time of day, time of month, and time of life. They don’t tell you the whole story, and they don’t listen to your story. Still, we declare target doses, or at least dose ranges, appropriate for most of us. From a public health perspective, clarity is preferable to nuance. So, somebody gives us a number. And we figure because we’re relatively “average,” the number applies to us. Get 500 mg of this, they say, or 3 ounces of that. And then right as we’re getting ready to go ahead and do as we’re told… somebody gives us a different number. What are we to think? It’s tempting to simply assume that one of them is right, and the other is wrong. Or that everyone is wrong, and nobody knows what they’re talking about. But that’s not necessarily the case. Sometimes both recommendations are valid – within their own conceptual framework. So now we have to identify the framework. We should also ask, what’s the mindset behind the recommendation? Some recommendations suggest a minimum dose, to prevent outright deficiency. Others suggest an optimal dose, to maximize health and wellness. Still others are for a maximum dose we should not exceed, beyond which we might face nutrient toxicity. This is less a difference of interpretation, and more a difference of intent. And if you ever wonder how orthodox medical professionals can look at the same evidence as a progressive, natural health professional, and reach entirely different conclusions, this is usually it. Finally, we need to understand how different people evaluate evidence in the first place. Some people only recommend what they feel 100% certain of, based on large, rigorous, controlled, validated, prospective cohort trials. The default for them is to not recommend. Others are more willing to act based on smaller studies, single studies, in vitro and animal models, and circumstantial (albeit still scientific) evidence. Still others are willing to be informed by clinical experience, healing traditions, logic, intuition, and personal testimonials. And finally, there are those that believe that their role as doctor, herbalist, parent, best friend, or television expert require (or entitle) them to Pronounce From On High with greater authority than they ought to feel. All of the above touch on differences in philosophy, framing, and methodology. However, it’s worth noting another reason recommendations vary so much: sometimes, people are just plain wrong. In my experience around these issues, people tend to be wrong because they didn’t do their homework. That’s to be expected. Not everyone is up to date on everything at all times. So people repeat what they were taught in school (decades ago), or what their colleagues are all saying, or what they read in the paper… or what they thought they read in the paper. Or they will hear a nuanced message, and repeat it stripped of nuance. Or take a theory and repeat it as gospel. Or extrapolate from one narrow situation to another, more general one. Looking back on it, I’ve been wrong over the years on a few things. The big ones I can remember were dose recommendations for vitamin D and calcium. I used to recommend too little vitamin D, and I used to recommend too much calcium. In both cases, I wasn’t wrong because the research was wrong, or because I read it wrong. I was wrong because I didn’t read it in the first place. I didn’t do my homework. I repeated conventional wisdom. I take some comfort in the knowledge that I wasn’t wrong alone. I had plenty of company. Next month we’ll talk specifically about how much calcium to take.